The Tambopata Research Center • Use the form below to contact us directly. 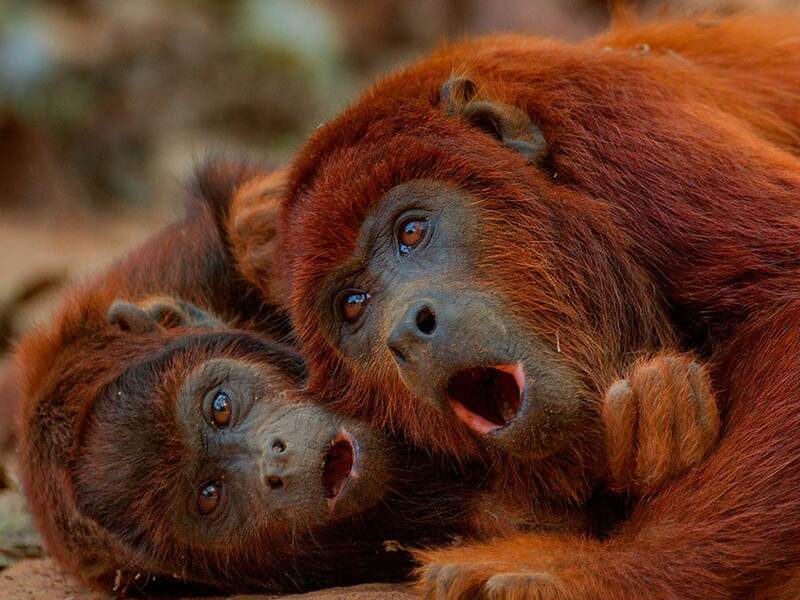 Fill in the fields to check availability & reserve direct with The Tambopata Research Center. 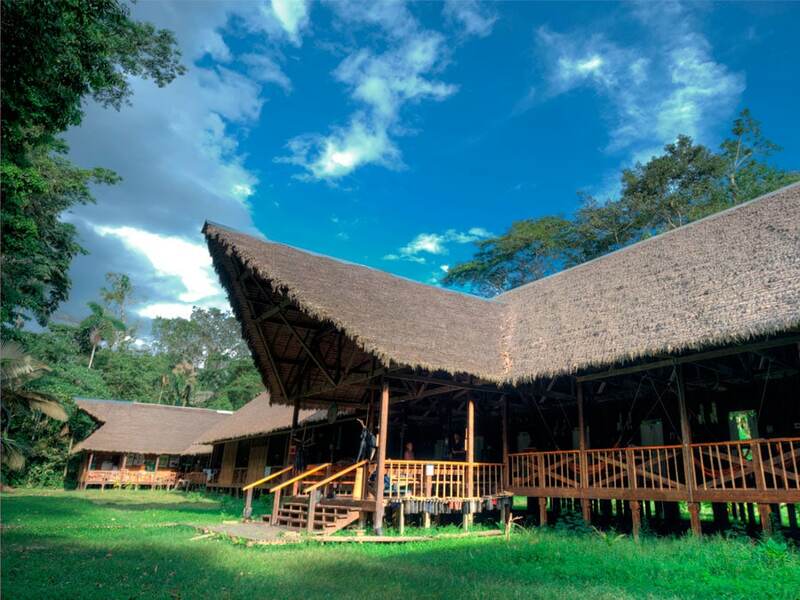 Positioned in the middle of the wildlife-rich Tambopata National Reserve, near one of the largest macaw clay licks in the Amazon Rainforest, you will find the Tambopata Research Center. 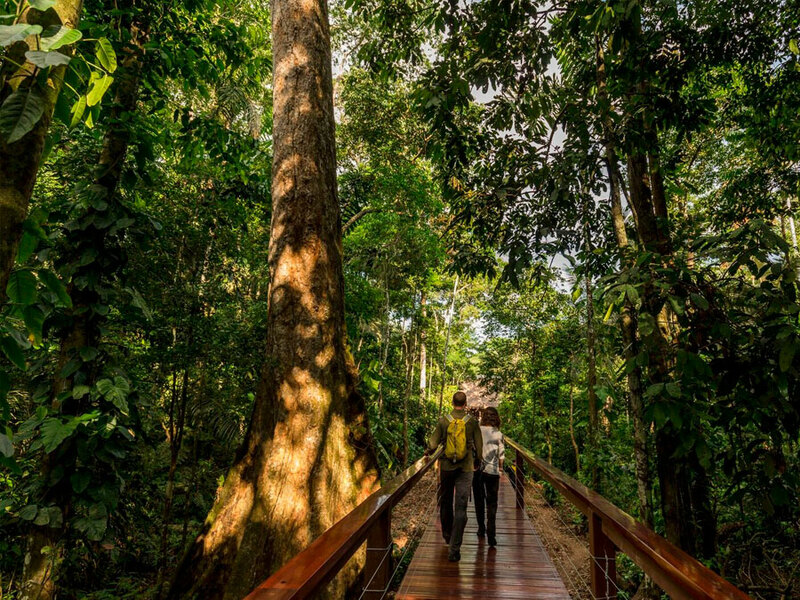 On our Tambopata Research Center Amazon tour, you will explore deep in the Tambopata National Reserve. 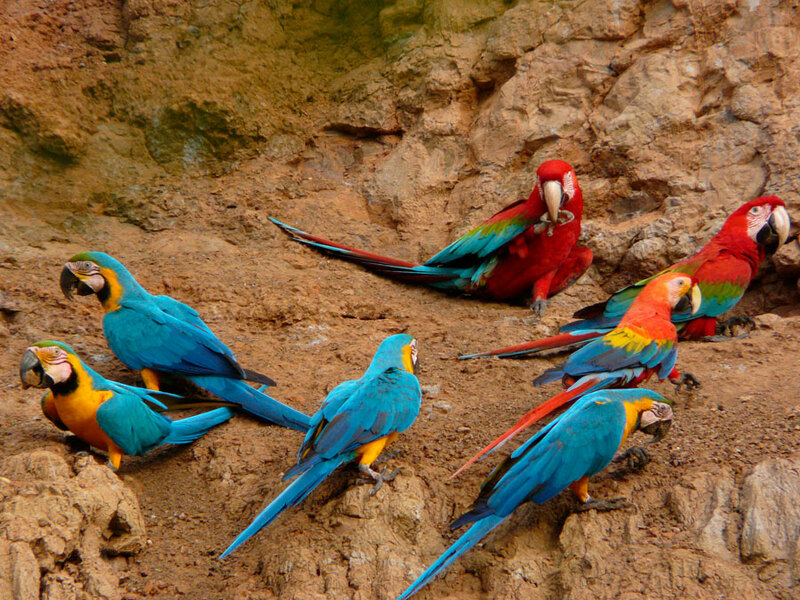 You will visit the nearby macaw clay lick and enjoy guided rainforest walks to find many different animals and plants. 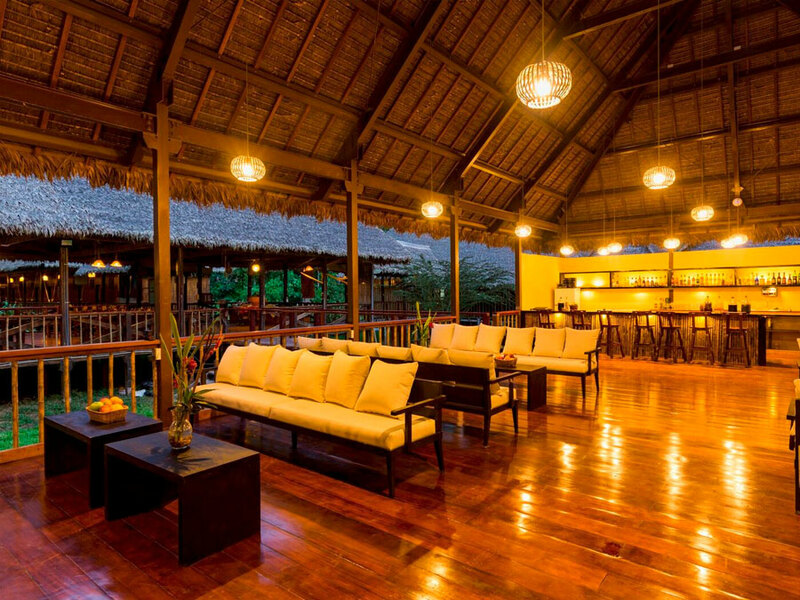 The lodge also houses researchers studying macaws and other species who will provide optional rainforest talks. 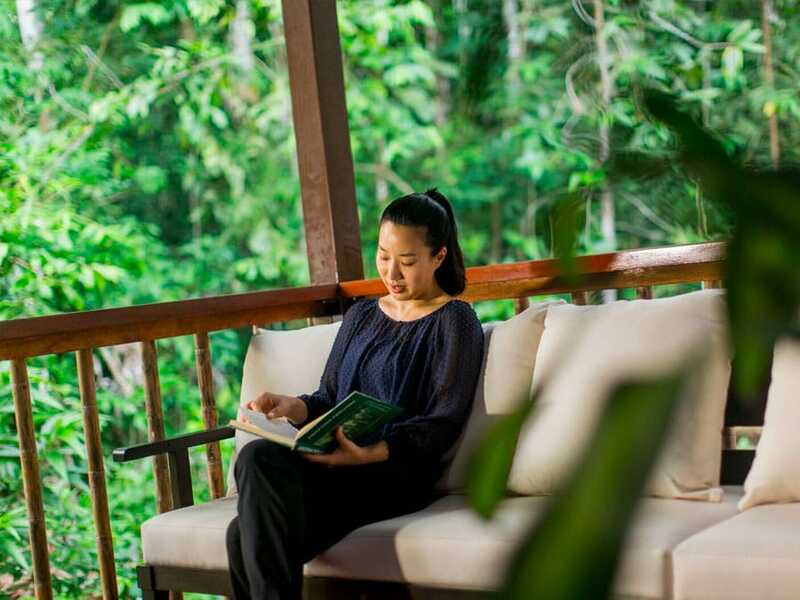 I wanted to take a break from my typical daily routine and immerse myself in nature, and this is exactly what I found at the Tambopata Research Center. 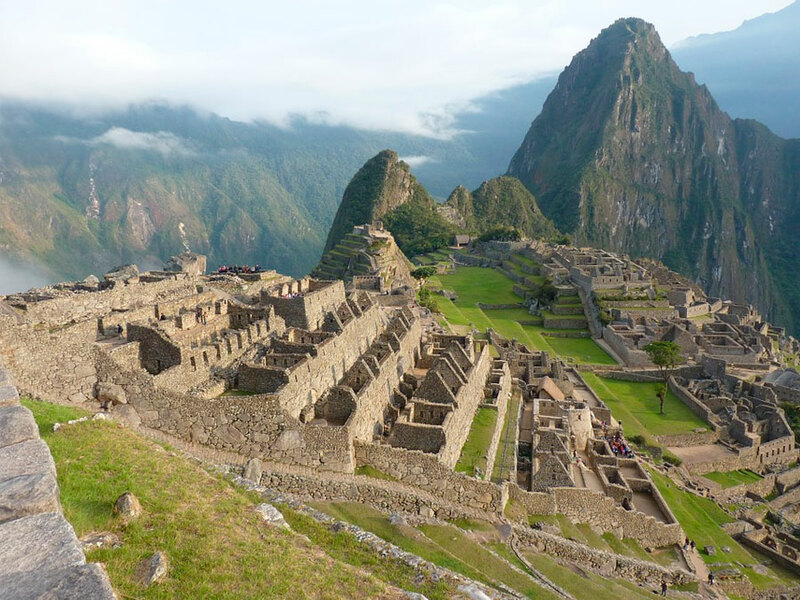 I stayed there for a week in March and it ended up being my favorite experience in South America. 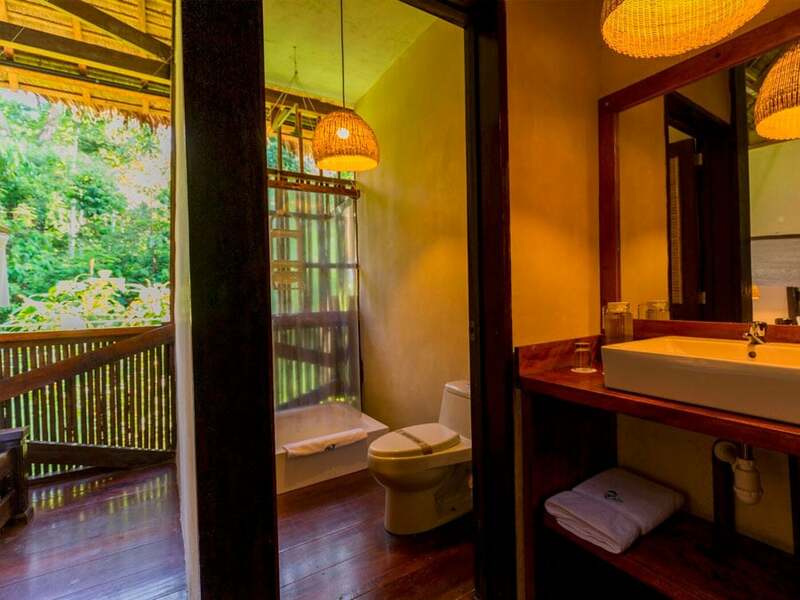 The lodge offers 24 comfortable rooms and suites. 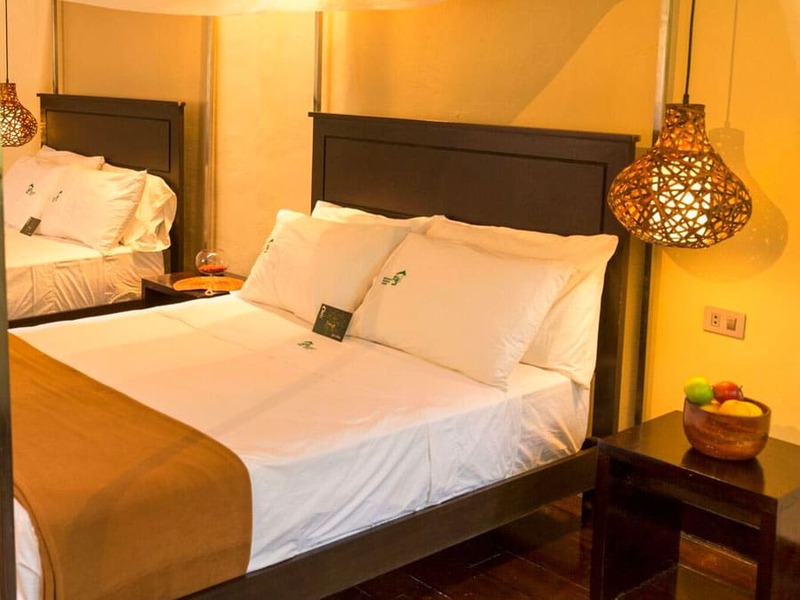 These include your choice of Superior, Comfort, Suite, and the Deluxe Suite. 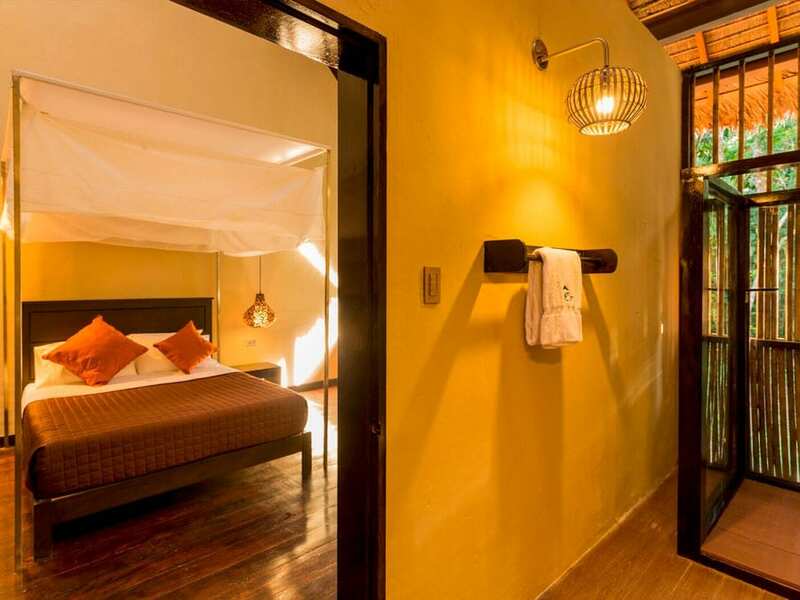 All of the accommodation options are styled with authentic Ese-Eja décor, which has been crafted by artists from the Infierno community. 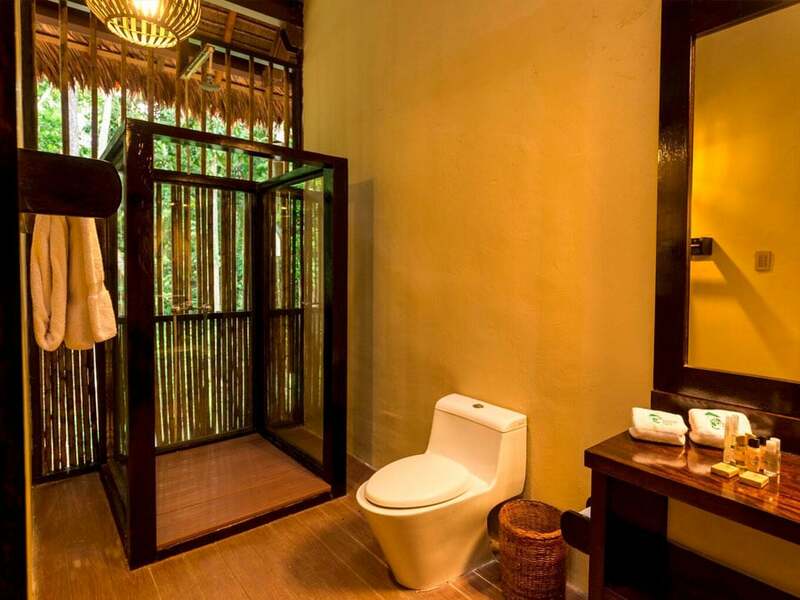 Each of the rooms and suites offer private ensuite bathrooms with hot water showers. The Deluxe Suite is the most luxurious and spacious accommodation, which also offers a large outdoor deck with sofas and an outdoor tub. WiFi is also available. 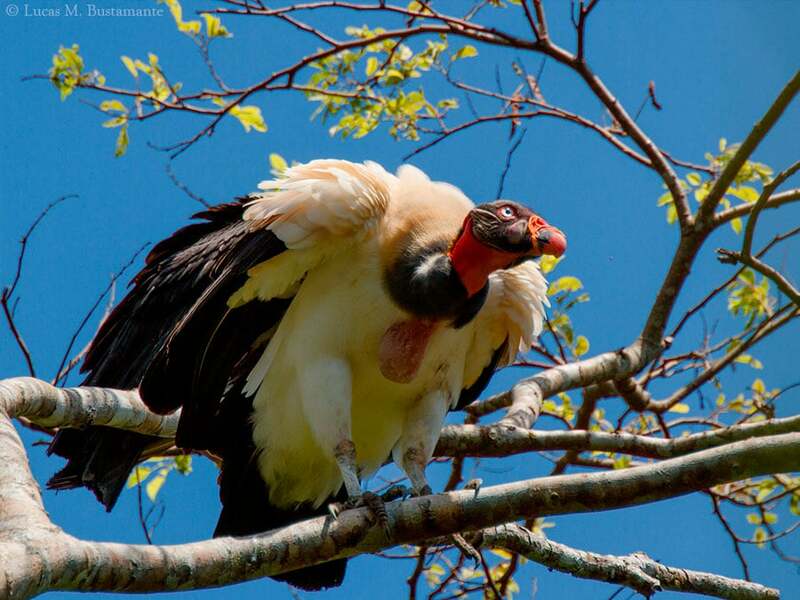 Choose from tours of 4 days and over to explore the species-rich Tambopata National Reserve. 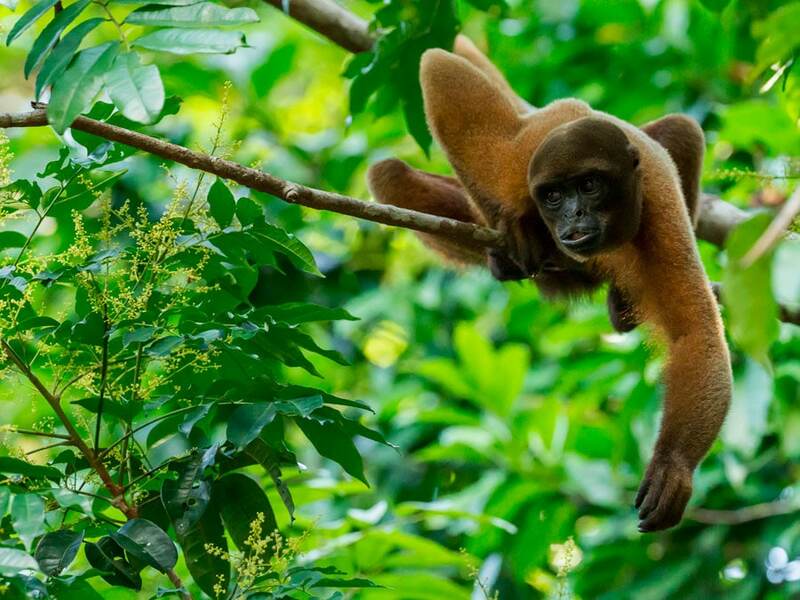 Enjoy guided tours with your skilled Amazon guide to find many different animals, such as howler monkeys, capuchins, squirrel monkeys, and colorful birds. 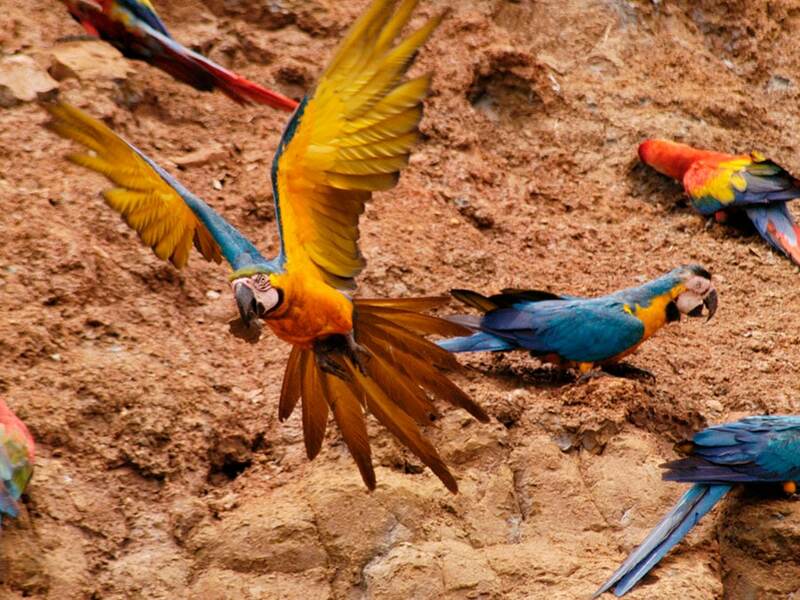 You will also visit one of the largest macaw clay licks in the Amazon Rainforest. 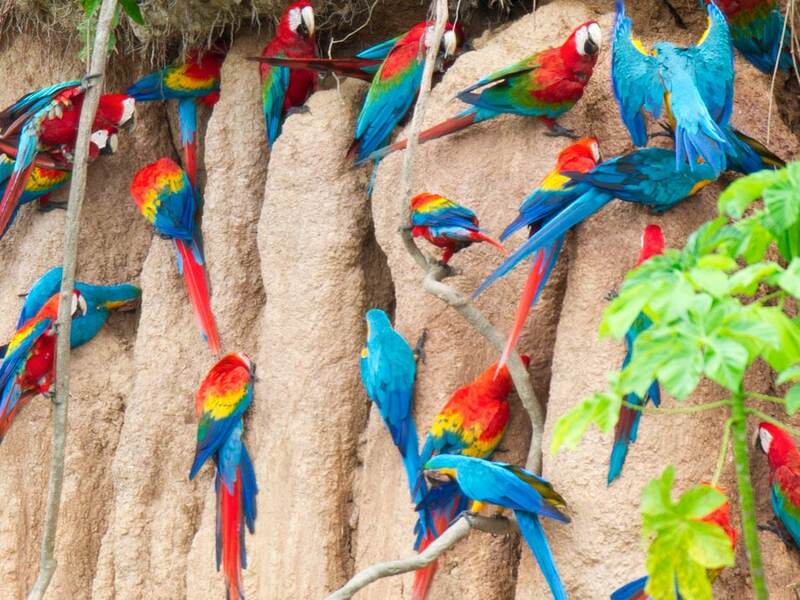 This is a great place to see hundreds of these colorful and intelligent parrots. 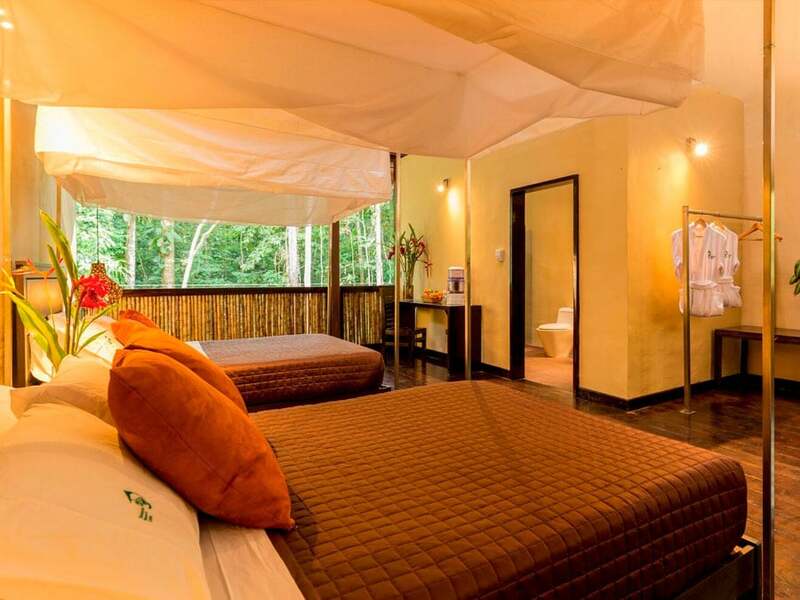 A highly recommended tourist lodge, the Tambopata Research Center is also a research center for Amazon wildlife specifically centered around macaw research and the clay licks. 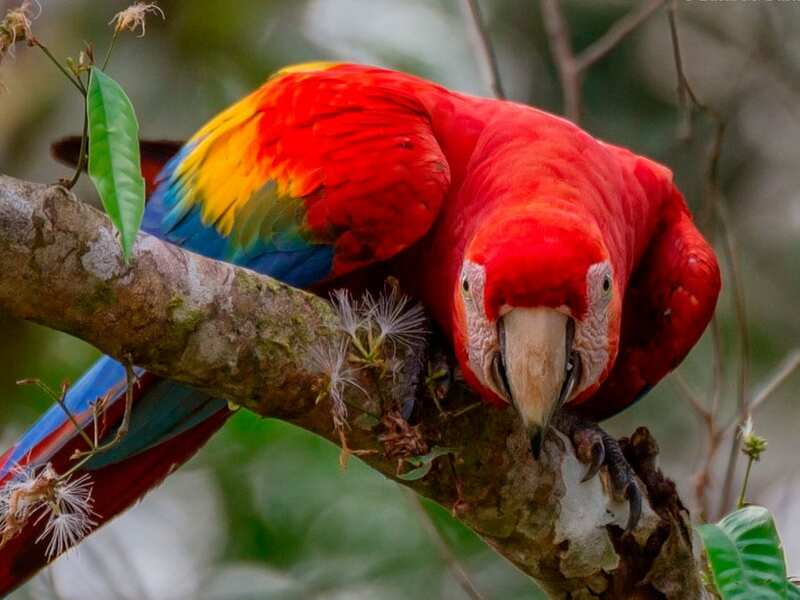 Enjoy talking with researchers to get a greater understanding of the work we’re doing and learn more about the macaws themselves. 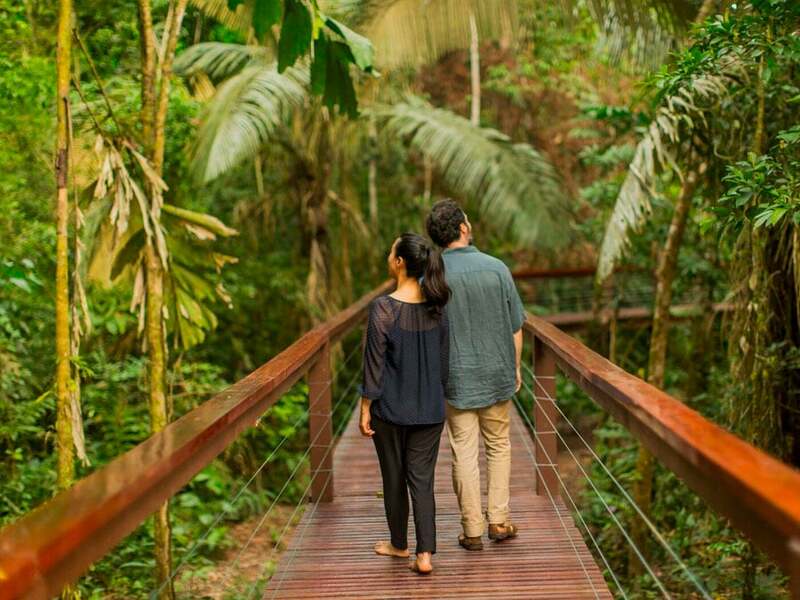 The remote location of the Tambopata Research Center, presence of wildlife researchers, and the skilled naturalist guides, means this is an excellent place to explore Amazon Rainforest nature and wildlife. 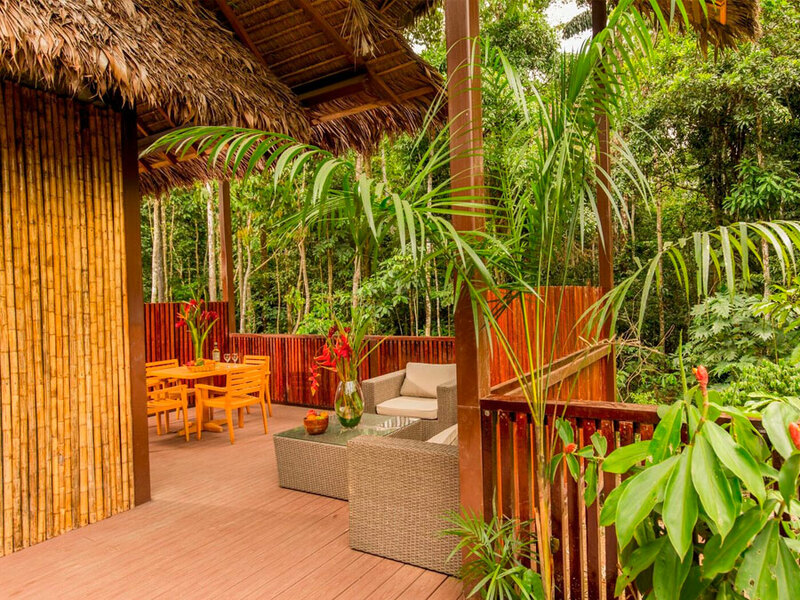 The rainforest around the lodge is an uninhabited part of the Tambopata National Reserve and is located next to the Bahajua-Sonene National Park. 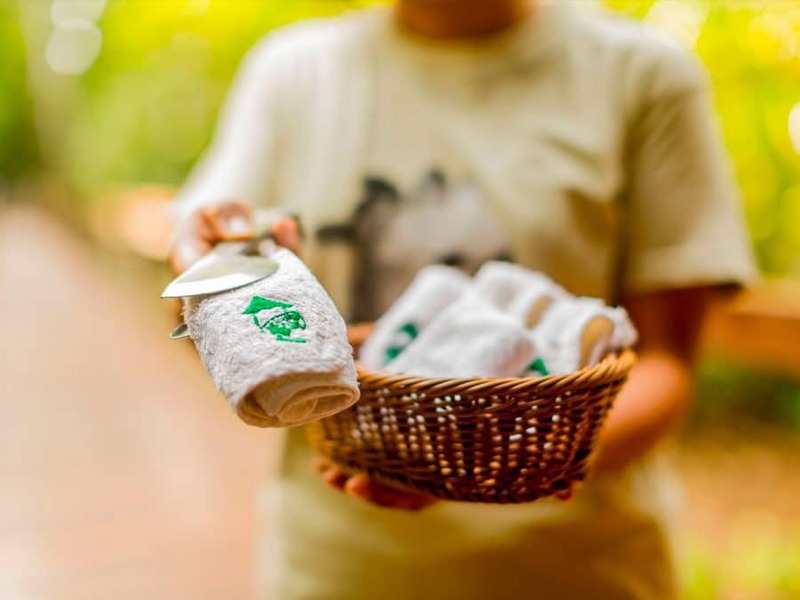 This means the animals and plants are at carrying capacity for the environment to give you an incredible experience of the Amazon Rainforest. 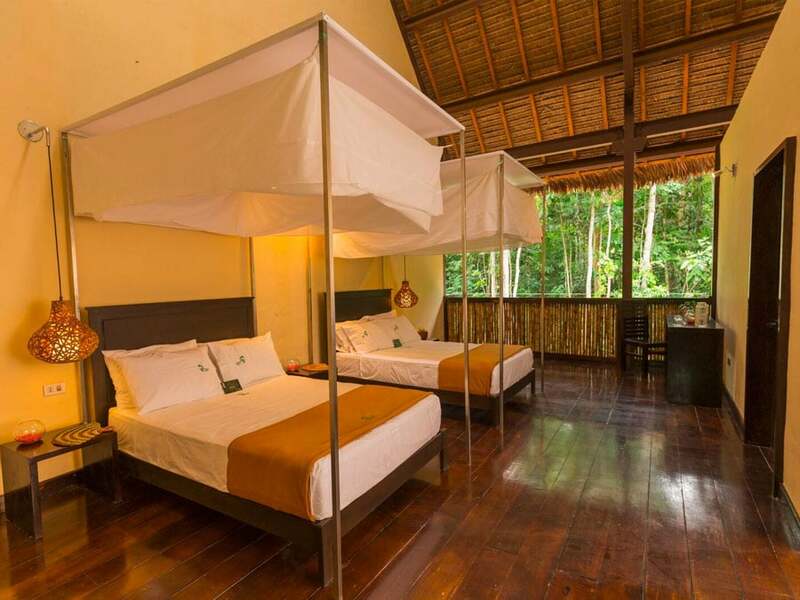 The rooms at the Tambopata Research Center are uniquely open to the surrounding rainforest so you can immerse yourself in the Amazon's tranquility and atmosphere making the most of the ecosystem. 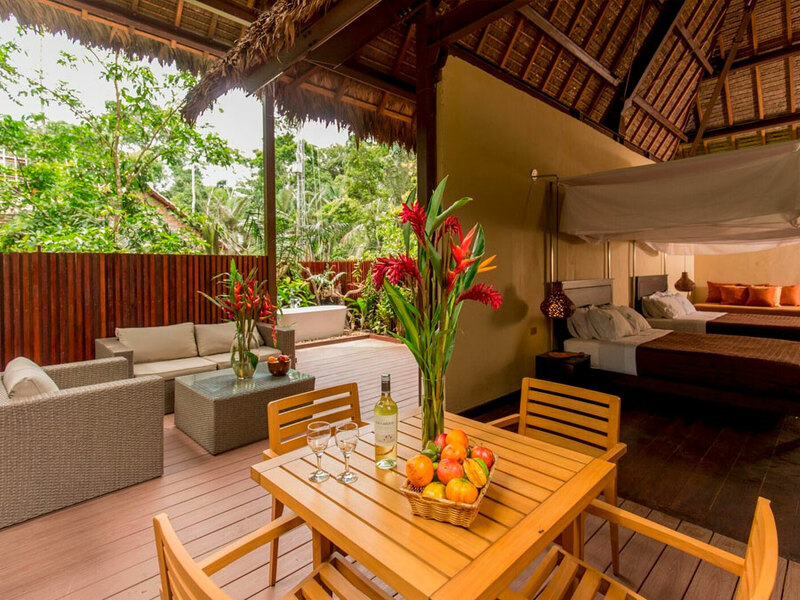 This openness means that monkeys and other Amazon Rainforest wildlife are often visible from the comfort of the lodge itself. 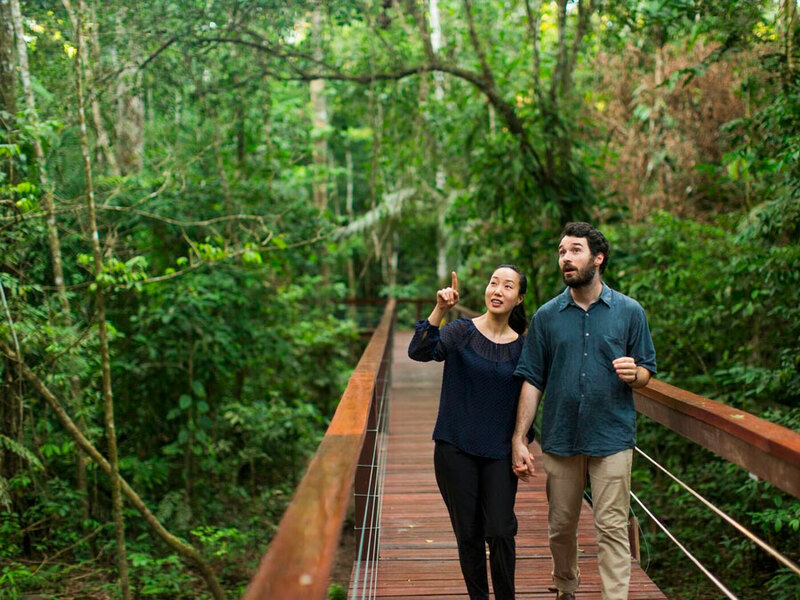 Mosquitoes are not really a problem around this section of the Tambopata and so we can make the most of this fact, which is special to the Tambopata Research Center. 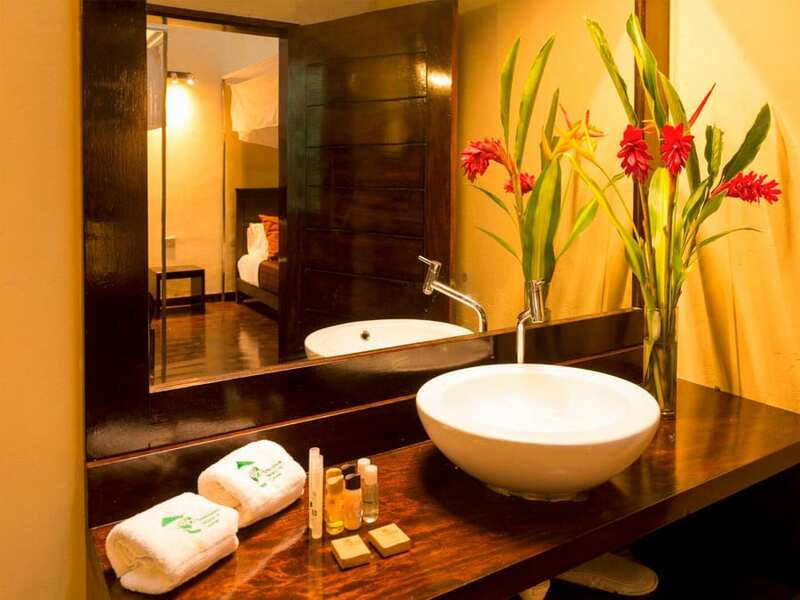 Rooms - Twenty four bedrooms, which includes 8 Superior Rooms, 8 Comfort Rooms, 4 Suite Rooms, and 4 Deluxe Suites. These is also a common area including dining room. 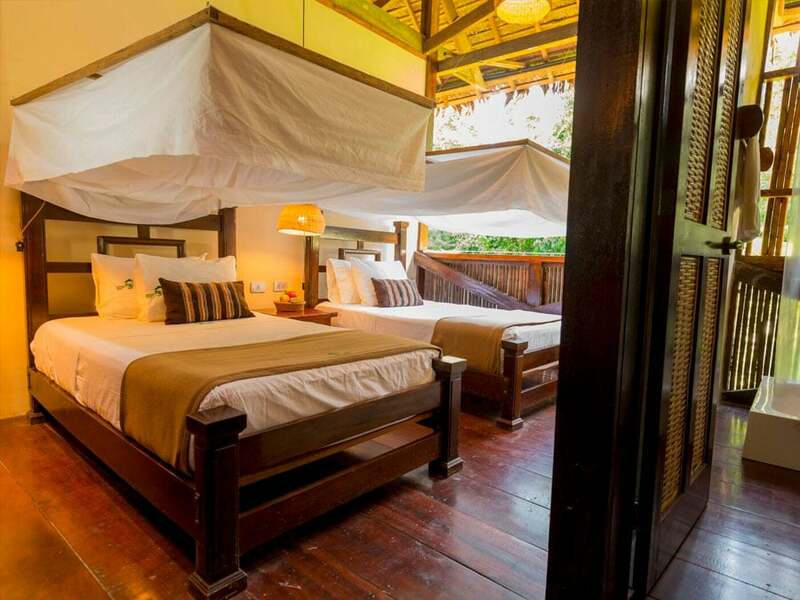 Bedrooms are separated from one another by light cane fencing. Rooms are private but not soundproof. 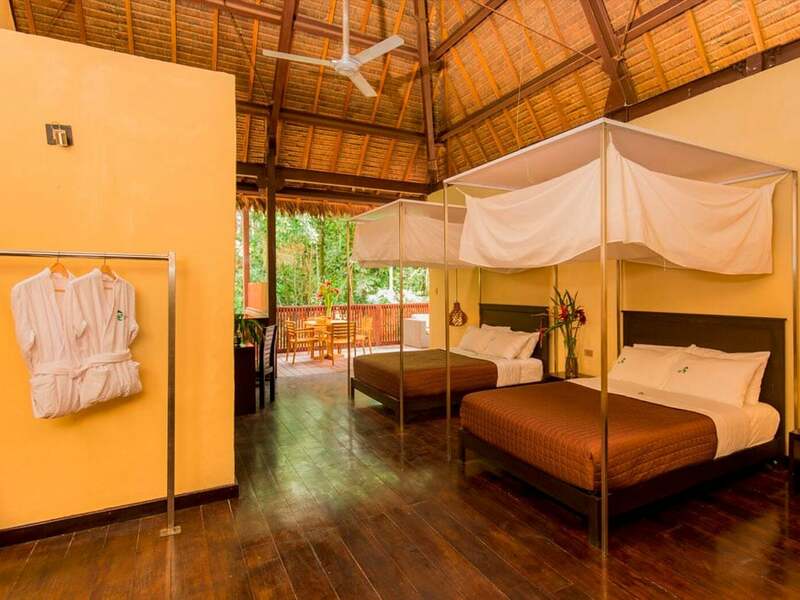 All rooms are connected by raised boardwalk. I stayed at TRC for three nights, and had an absolutely amazing experience. My guide, Cesar, was phenomenal. His excitement for bird-watching was contagious, and I was amazed at what he was able to spot in the midst of the jungle. Common Areas - Common areas are open and spacey and offer ample area for resting and socializing. 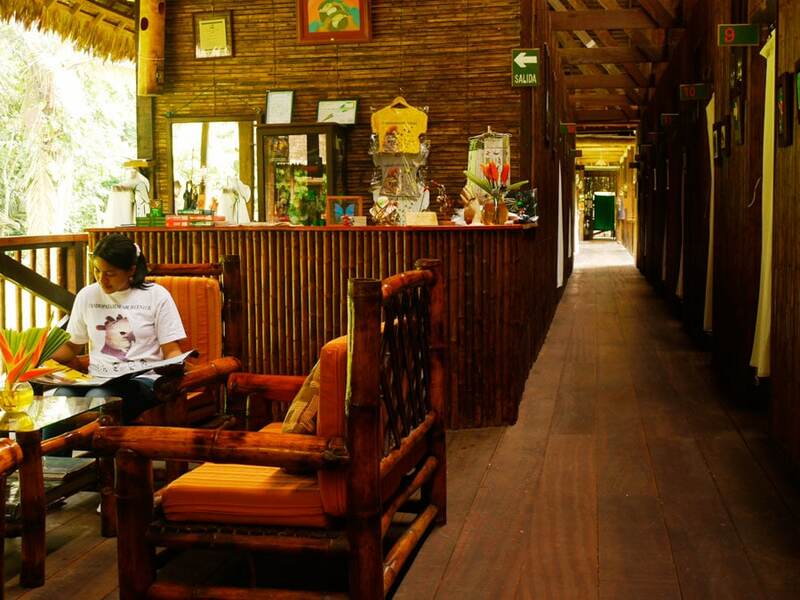 They include a dining room and bar, a reception lounge with souvenir shop, and an interpretation center. Communication - In daily contact with our offices in Puerto Maldonado and Lima via internet, satellite phone & HF radio. 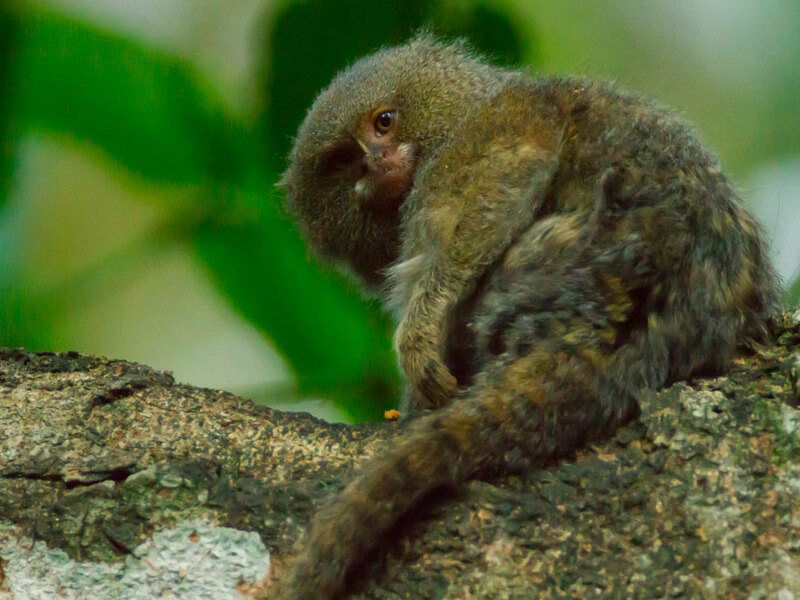 The Amazon was at the top of my bucket list, and after being there, I want to go back again! 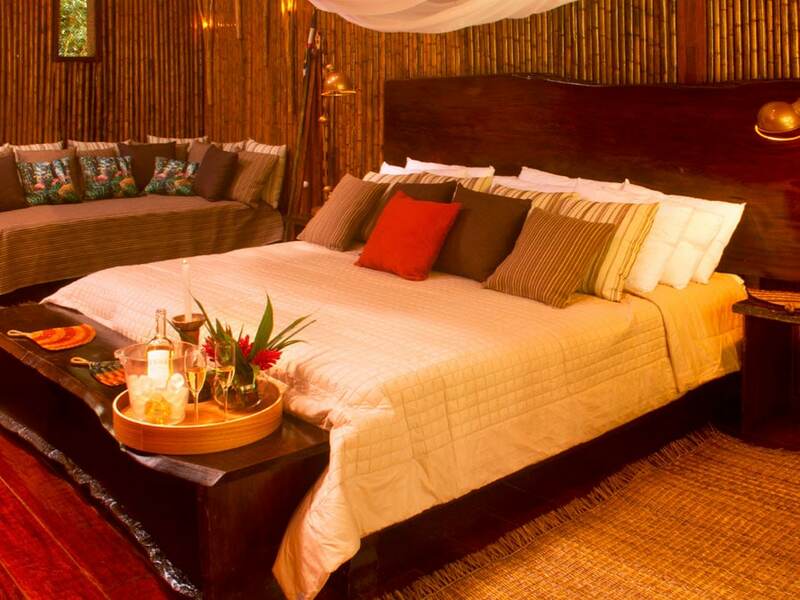 We went for the 5 night 4 day package, staying at Tambopata Research Centre for 2 nights, my only resent is that we didn't stay for longer. Hot water is available in the Tambopata Research Center. A generator is turned on once a day to recharge batteries for guests or lodge facilities. At night it is very dark, so we recommend good flashlights. Light is provided by numerous kerosene lamps and candles. 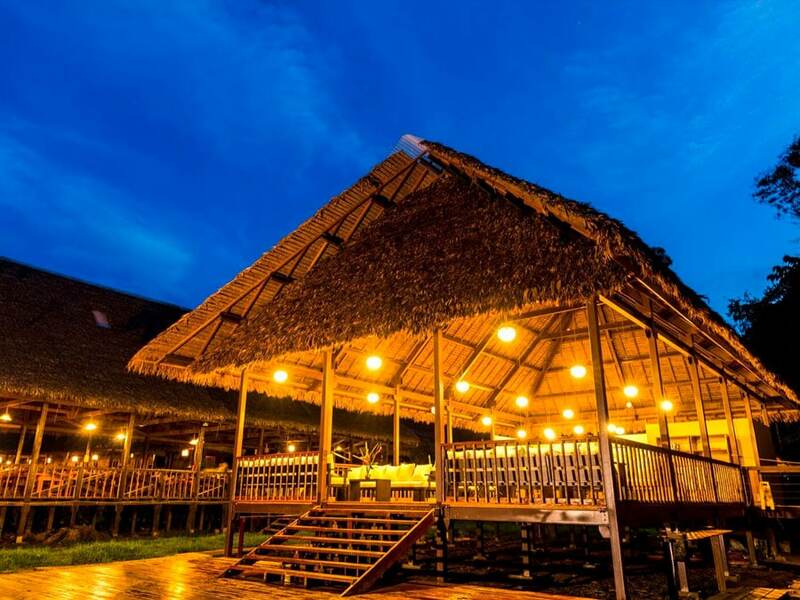 Meals are provided as self-serve three course meals at the Tambopata Research Center consisting of soup or appetizers, salad, main course, and desserts combining Peruvian and international cuisine. All fresh fruits and salads are thoroughly disinfected before serving. We also provide at all times unlimited amounts of boiled, filtered, cooled drinking water, coffee or tea and we provide fruit juices during the meals. If any visitor has special dietary requirements, we are happy to make individual arrangements, but please notify us using the contact form. 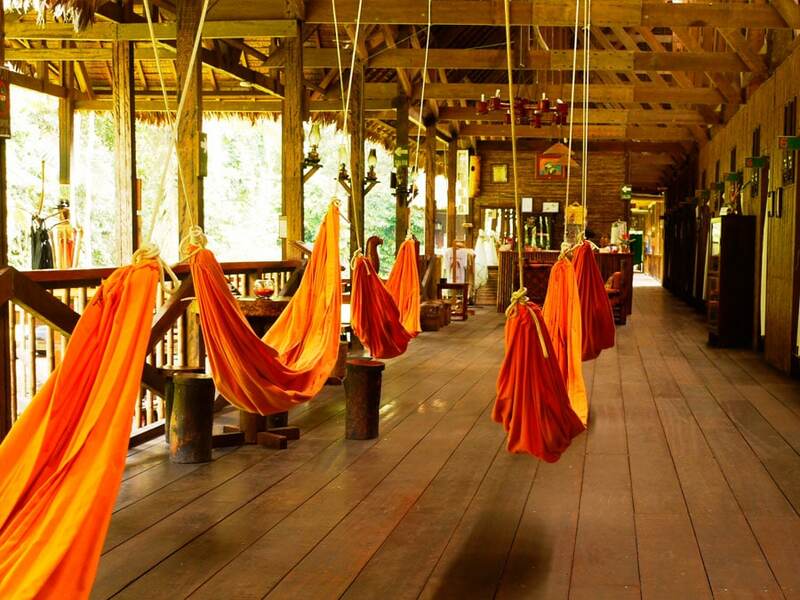 The Tambopata Research Center provides an in depth Amazon Rainforest experience. 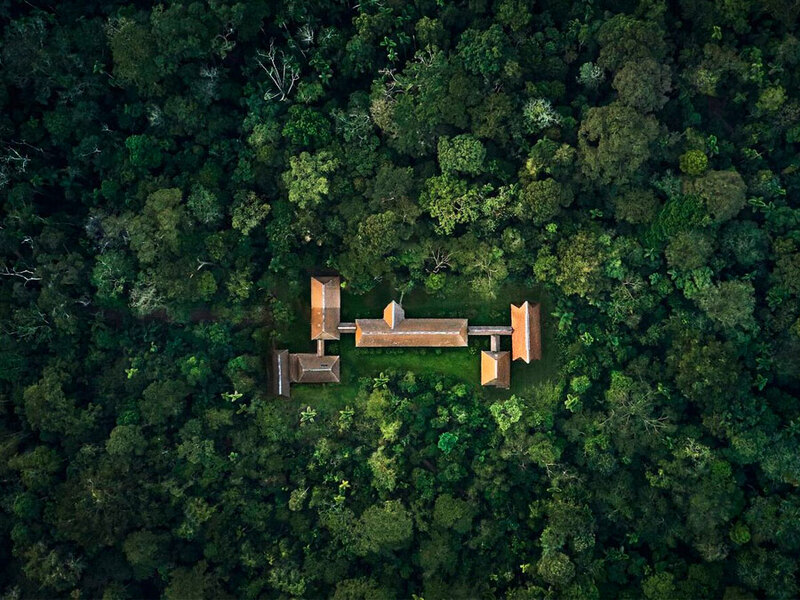 Over 20 years, research has been carried out at the lodge on the nearby large Macaw clay lick, one of the largest in the Amazon Rainforest. 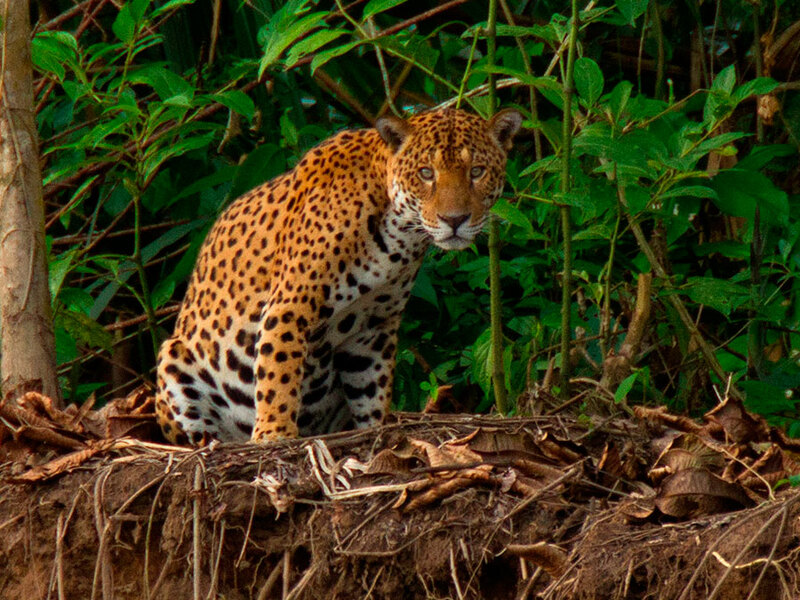 One of the rules in Amazonia is that the further away from urban areas you are, the more wildlife you will find living in the area, and this is certainly true at this lodge. 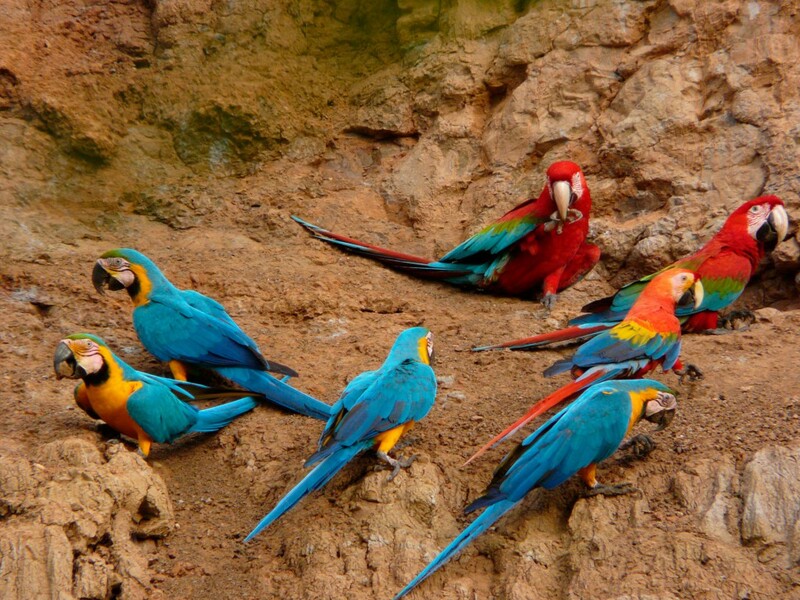 Macaw Project - Interact with researchers studying Macaw feeding habits, genetics, radio tracking and macaw parasites. Enjoy the forest from a different perspective and get on a mountain bike. Our ride begins 10 minutes from the Refugio Amazonas Lodge and then loops 10 kilometers through mature forest and numerous creekbeds. The muddier it is, the more fun we will have! 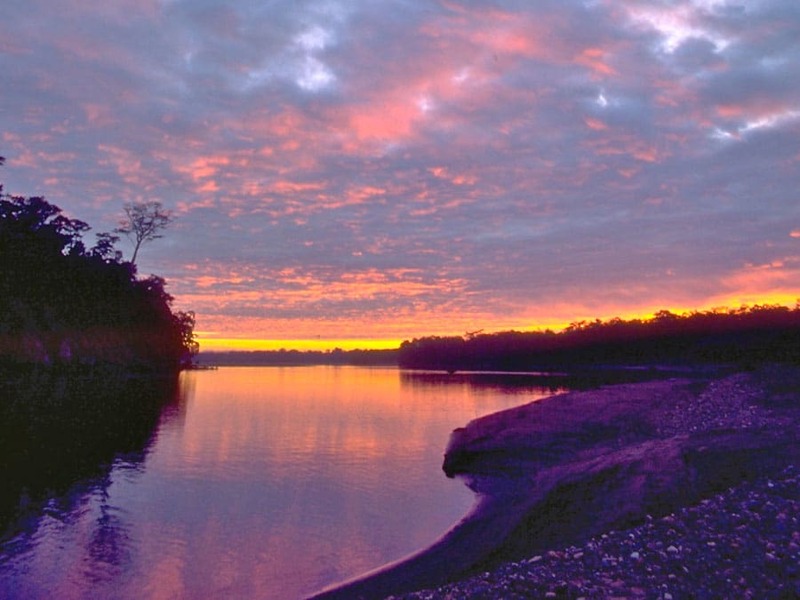 An incomparable sunset experience amid tropical rainforest of Tambopata. 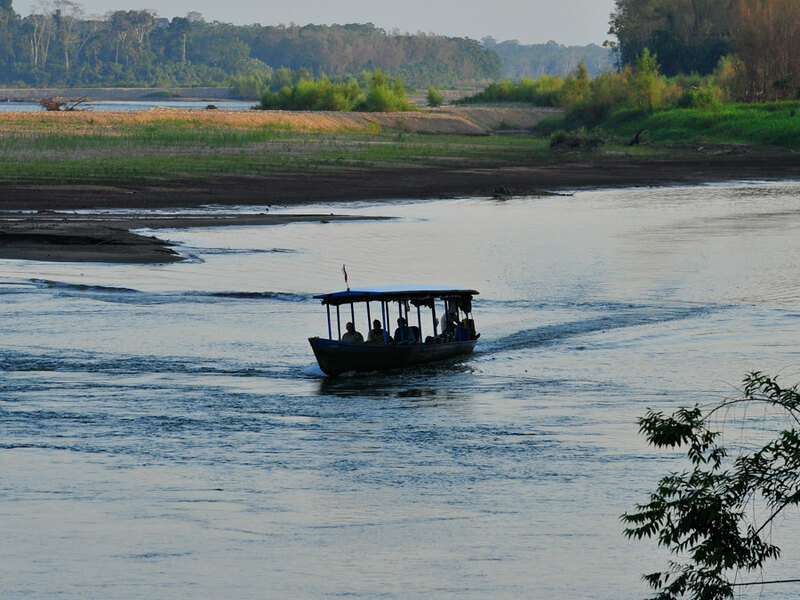 Take out one of our canoes and float down the Tambopata River while enjoying wine and hors d’oeuvres. Includes: 2 hour boat ride & 1/2 bottle of wine per person + snack (soda is available for people who don't drink wine). No previous experience is required. 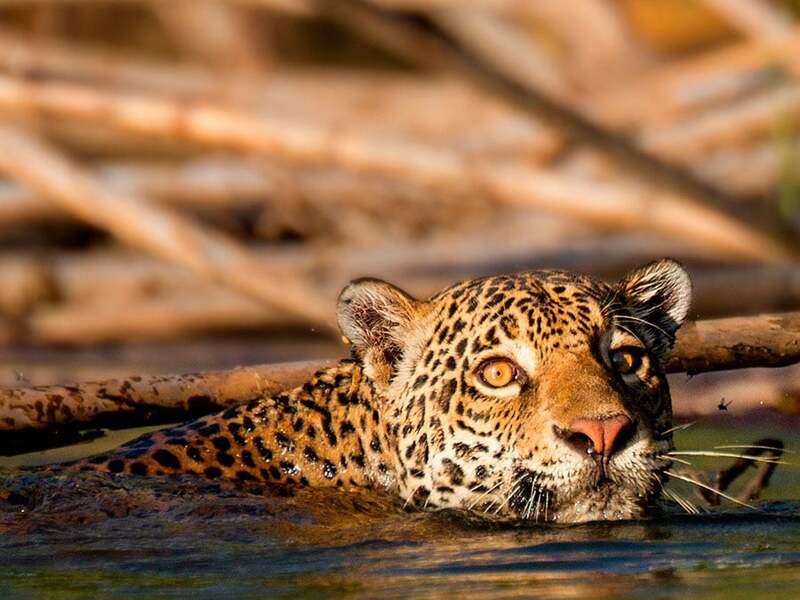 A boat will bring us upriver and then we will paddle down a portion of the Tambopata River with some rapids, although most of the progress presents low difficulty. 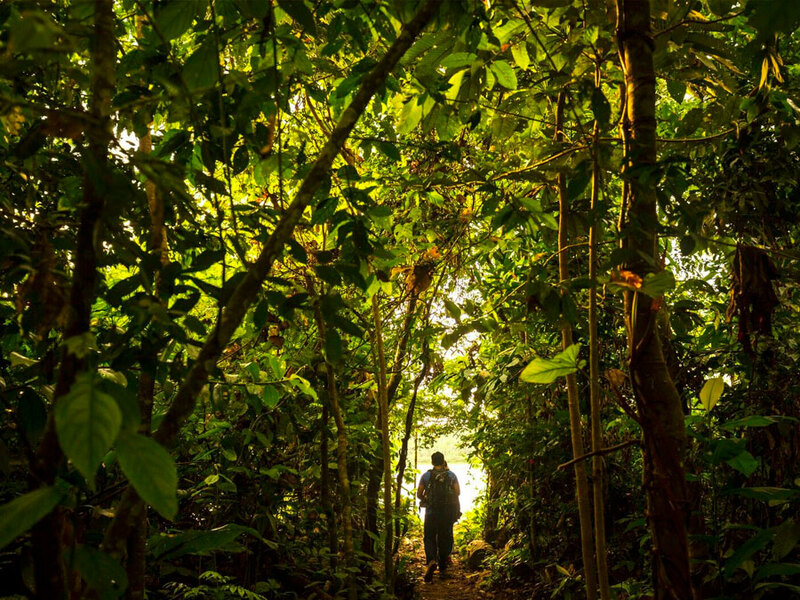 At the shores we will observe fragmented parts of the forest and come across with locals that work at the few farms in the region. 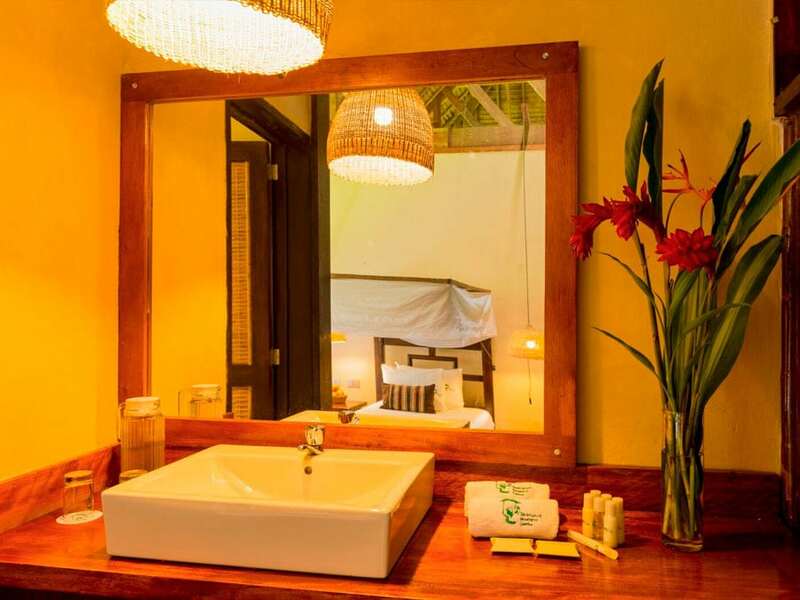 To finish our experience, we´ll stop on a sandy beach and take a well deserved bath. No experience required, only swimming knowledge. 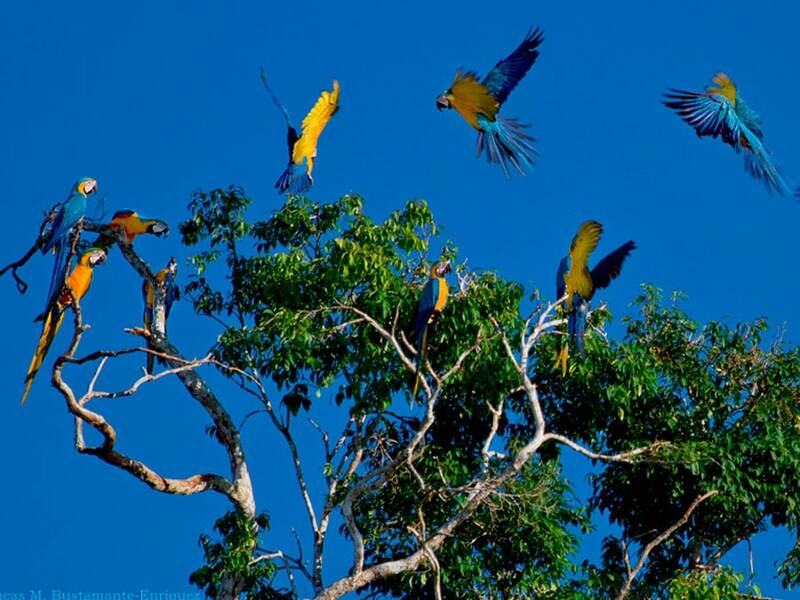 Replicating the daily work of macaw researchers, we will climb a 30 meter tree with a rope, harness and jumar. From this vantage point we will have a macaws eye view of the forest. This demanding exercise is perfectly safe and requires no previous experience. We will paddle up a portion of the Tambopata River that presents no difficulty. 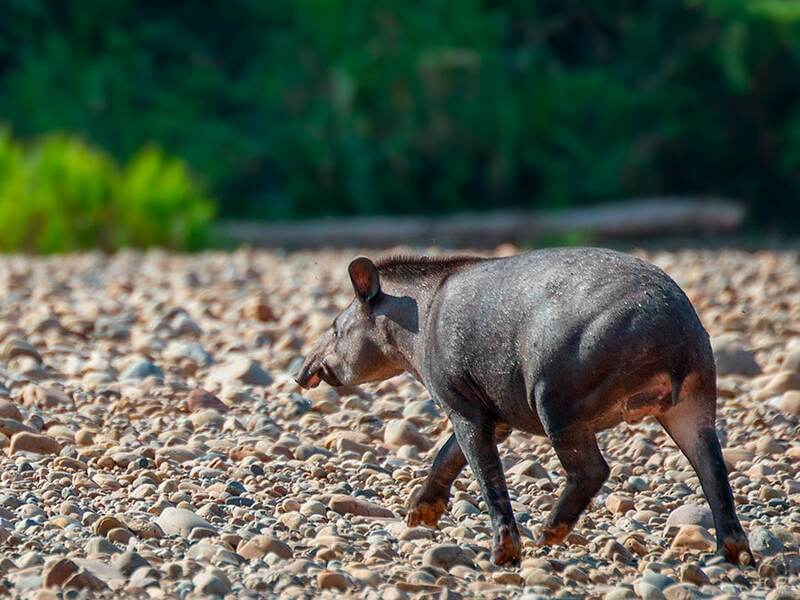 At the shores we will observe fragmented parts of the forest accompanied by nature sounds and some wildlife we may observe, like birds, caimans and turtles. 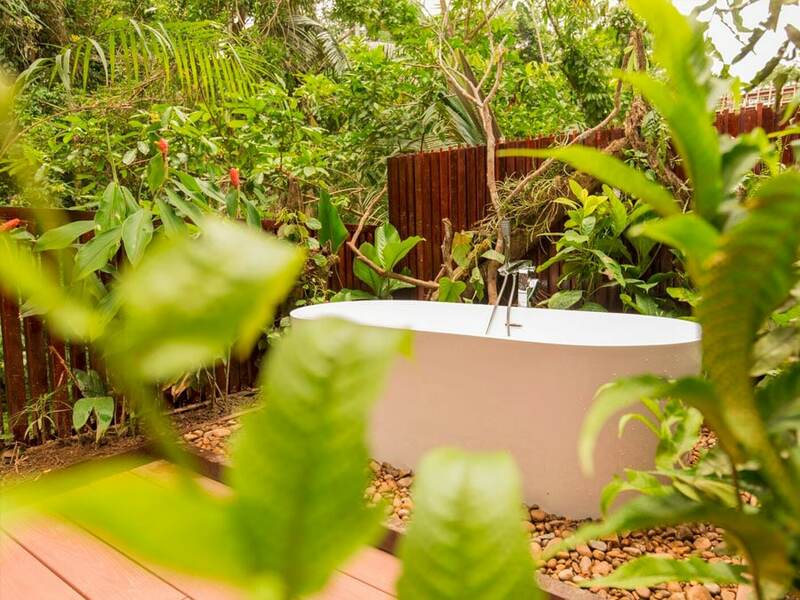 To finish our experience, we´ll stop on a sandy beach and take a well deserved bath. No experience required, only swimming knowledge. At the lodge, we will prepare a paste from the fruit of huito and achiote to draw dark blue and red tattoos on ourselves. They last several days. Responsible Travel - Highly Commended 2006 - The central tenet of the Awards is that all types of tourism – from niche to mainstream – can and should be operated in a way that respects and benefits destinations and local people. The Awards are different from other tourism Awards in that winners are nominated by tourists. Programs per person based on double occupancy. 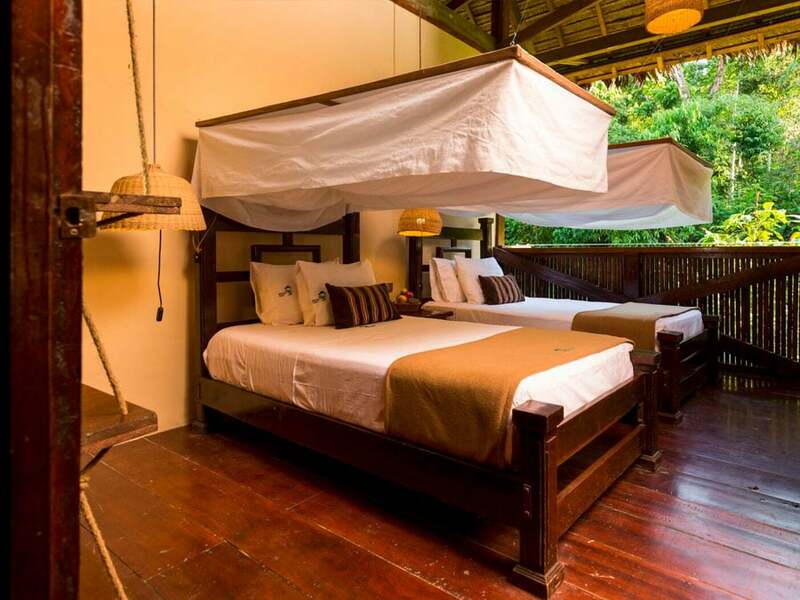 Includes all meals, accommodations, and services, all river transportation, and transfer from and to the airport of Puerto Maldonado. Transfer-in (From Puerto Maldonado to Lodge): we have two departures daily at 13:00 and 14:30. Transfer-out (Lodge to Puerto Maldonado): Two daily departures at 07:00 and 08:00 For other schedule possibilities please consult us.